There is a bright side to these economic times where there are no jobs. I view this as a time for opportunity. Think about it, many people are looking for jobs in this no job market. Just think where you could be financially if you could just capture a very small percentage of these job seekers, capture their attention and give them an option. 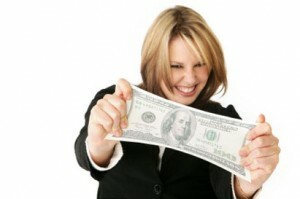 This is using the current market situation to your benefit and also providing an opportunity to the seekers. There is a huge demand for ways to generate some income so why not put yourself in a position where you can meet the demand. The time is ripe to start your own network business. Take advantage of the no job market and jump on the opportunity. You can control your own destiny. I am just going to be point blank here, there is going to be an investment of time and money. Search around and get hooked up with a person who is a leader. A leader is going to want you to succeed and in turn will teach you how you how to grow your business. Successful leaders teach success. This does take work and the sky is the limit. Again don’t let this no job market get you down. Make your own opportunity, make things happen and you will be rewarded. The more people you get on your team the more money will will make. You can build yourself a residual income that will grow huge with time. Hi Jeff this is a good point but I think past this … if there is no fruit, plant some trees and grow some. Opportunity is always there and thinking outside the box will get you to where you want to go. Thanx for the comment Jeff.